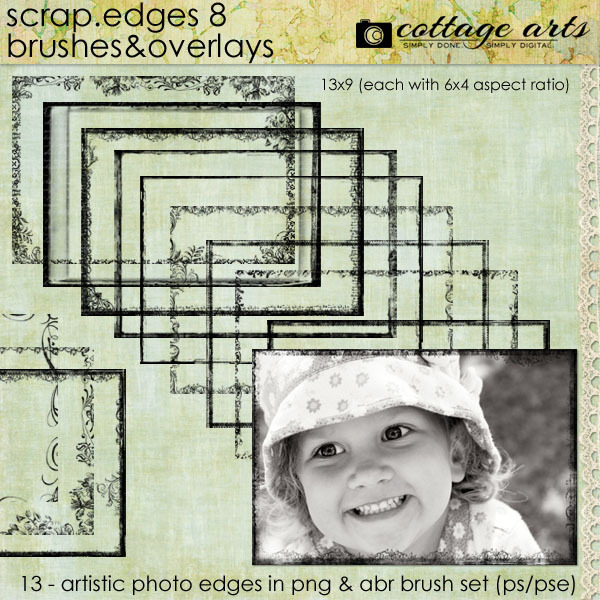 Achieve amazing effects with our Scrap.Edges...Artistic Edge Overlays and Brushes. 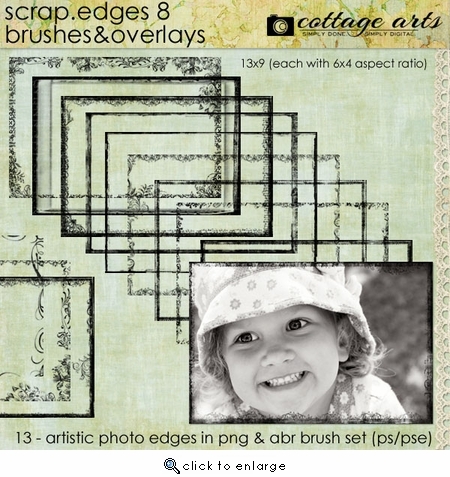 Includes 13-PNG format Artistic Edge Overlays and a matching brush set in .abr format (compatible with Adobe Photoshop Elements 3 and above and Adobe Photoshop CS and above). Edge Overlays sized at 3888 pixels x 2592 pixels (13x9 at 300 dpi - same size as Canon 40D). Rotate for portrait photos. Can re-size to other dimensions and change proportions, if desired (such as for 8x10, 4x6, 10x13, 11x14).